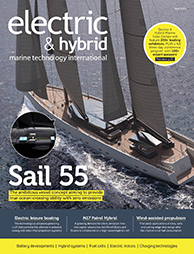 Visitors to the Vita Yachts booth will learn about the company’s fully electric powerboats, currently in production on Lake Maggiore, Italy. 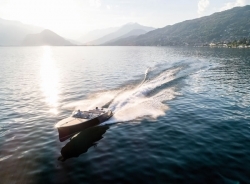 The first powerboat manufacturer to achieve a Clearwater Gold Standard rating for its low environmental footprint, Vita aims to marry classic aesthetics with cutting-edge technology. Twin water jet drives are powered by Vita’s groundbreaking propulsion system, incorporating proprietary throttle and touchscreen technology to deliver a cruising speed of 25kts and a sprint speed of 40kts. Above the water, the design evokes the elegant lines of iconic European runabouts, finished in teak, chrome and Italian leather.